We’re honoring the bold, bipartisan leaders who are changing laws and changing lives across this country. Join us May 3 in Lexington, Kentucky for a night of fabulous live music, authentic Kentucky food and interactive experiences, and meet the extraordinary people working every day to make our justice system smarter, fairer and more cost-effective. Get your tickets today! The Coalition for Public Safety was a supporting partner of the Criminal Justice Reform Summit in Los Angeles. The summit featured Governors John Bel Edwards (D-LA), Mary Fallin (R-OK) and Dannel Malloy (D-CA), as well as NAACP President Derrick Johnson, FAMM’s Kevin Ring, and #cut50’s Van Jones and Topeka Sam. Panels discussed public policy-making, the challenges of reentry, and the need for active philanthropy. The Coalition for Public Safety and the Texas Criminal Justice Coalition hosted a forum to discuss the unique challenges facing women in the justice system as well as policy solutions to improve outcomes. Panels featured prominent female lawmakers from both sides of the aisle, as well as notable policy experts, impacted individuals, policymakers, law enforcement, and judges. Discussions focused on a number of topics such as: the growth of women in the justice system, mental health and trauma, and how to change the system through smart policy. Women Unshackled was a day-long forum to discuss the unique challenges women face in the system and the policy solutions to improve outcomes. The discussion featured prominent female lawmakers from both sides of the aisle, as well as notable policy experts, impacted individuals, law enforcement and judges. The Coalition for Public Safety and FreedomWorks hosted the Smart Justice Academy. Members of the Tennessee Republican Assembly gathered to learn about justice reform, with a focus on civil asset forfeiture. Speakers included Tennessee Republican Assembly President Sharon Ford, State Representative Judd Matheny, The Beacon Center’s Hannah Cox, and FreedomWorks’ Jason Pye and Noah Wall. The Coalition for Public Safety, The Buckeye Institute, and the Ohio Justice & Policy Center joined together to host a lively conversation with policymakers and leading law enforcement practitioners on the “law and order” approach to sensible justice and public safety. The panelists addressed shifting the narrative from “tough on crime” to smart on justice; tried and true reform solutions; and how investing in communities, recognizing human dignity, and extending second chances can both save tax dollars and help create a stronger, safer Ohio. 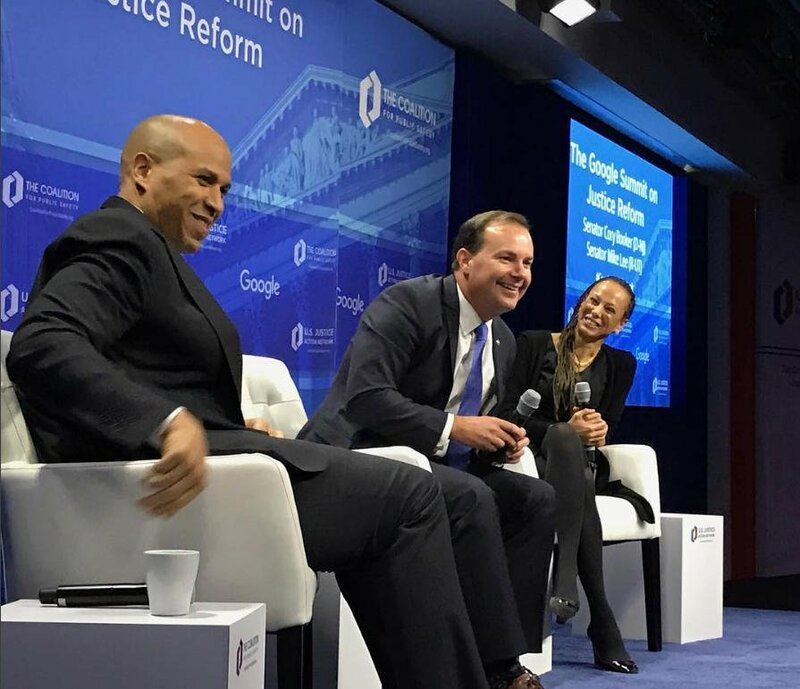 Google, the U.S. Justice Action Network and the Coalition for Public Safety brought together diverse voices from the north, south, east and west to highlight successes on the state level and urge federal action on justice reform. Speakers included Senators Mike Lee (R-UT) and Cory Booker (D-NJ), as well as Governors John Bel Edwards (D-LA) and Dannel Malloy (D-CT). The Buckeye Institute and The Coalition for Public Safety hosted a panel discussion with national and state leaders on criminal justice reform. With the General Assembly's Criminal Justice Recodification Committee reexamining Ohio's criminal justice system, panelists highlighted the need for reform in Ohio, examples of successful reforms in other states, and the path forward to achieve a smarter, fairer, and more cost-effective criminal justice system in Ohio. 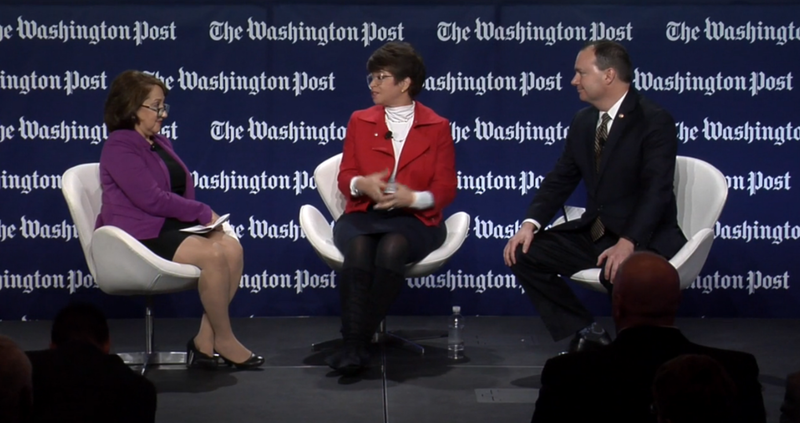 The Coalition for Public Safety and The Washington Post gathered policymakers, advocacy experts and legal scholars for live, onstage conversations about incarceration and efforts to assist individuals as they are released and transition into their communities. Speakers included Valerie Jarrett, Senior Advisor to President Barack Obama; Sen. Mike Lee (R-UT); Pennsylvania Secretary of Corrections John Wetzel; Former NYC Police and Correction Commissioner Bernard Kerik. The Coalition for Public Safety, the University of Arkansas Clinton School of Public Service and the Arkansas Legislative Criminal Justice Oversight Task Force hosted the Arkansas Justice Forum. Part of the Fair Sentencing & Fair Chances National Tour, the event featured local, state and national leaders from across the political spectrum. The panel urged criminal justice reform and pointed to successful examples of reforms enacted in other states. The Coalition for Public Safety and Right on Crime took the Fair Sentencing and Fair Chances National Tour to Texas, hosting a public event at the Texas Public Policy Foundation in Austin. Our panel of leading experts included Jerry Madden and Greg Glod of Right on Crime, Douglas Smith of the Texas Criminal Justice Coalition, and Terri Burke, Executive Director of ACLU Texas. They highlighted the bipartisan, successful efforts that have made Texas one of the nation’s leaders in reforming its criminal justice system, and examined how similar approaches at the federal level could be replicated to make justice reform a reality nationwide.